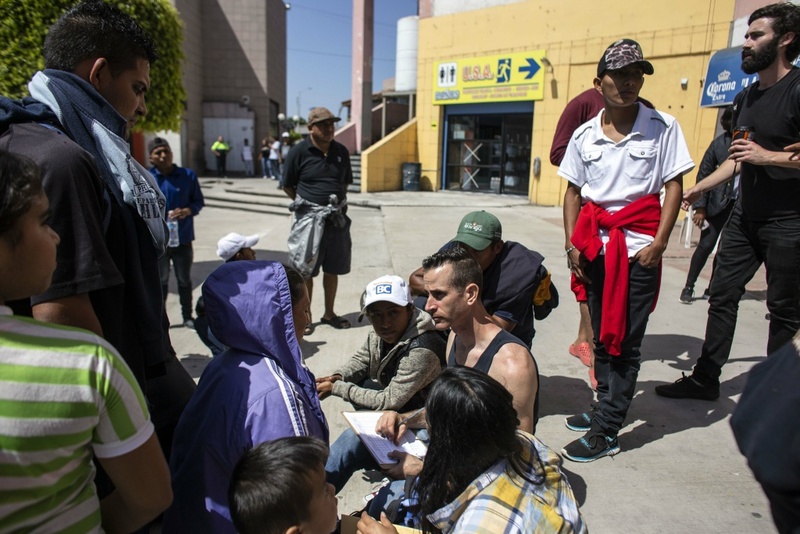 Central American migrants traveling in the "Migrant Via Crucis" line up outside Padre Chava's soup kitchen in Tijuana, Mexico for breakfast and legal counseling on April 27, 2018. 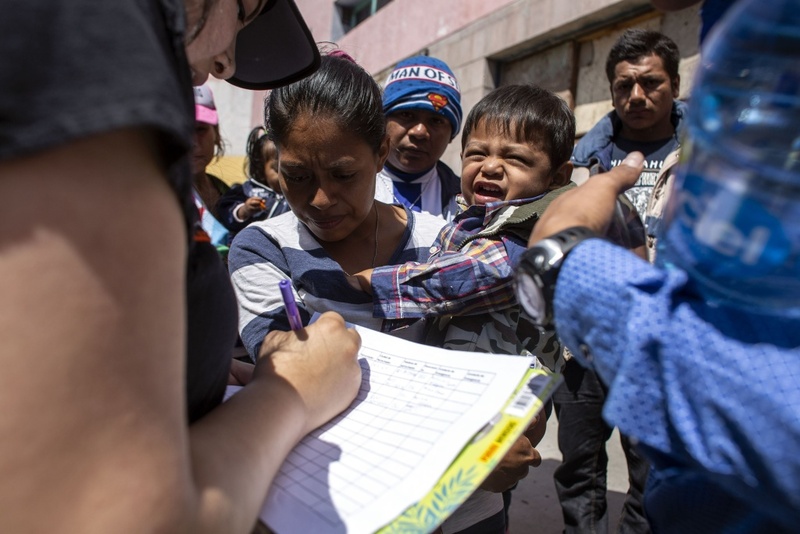 Central American migrants traveling in the "Migrant Via Crucis" register before a legal counseling session in Tijuana, Mexico for breakfast and legal counseling on April 27, 2018. 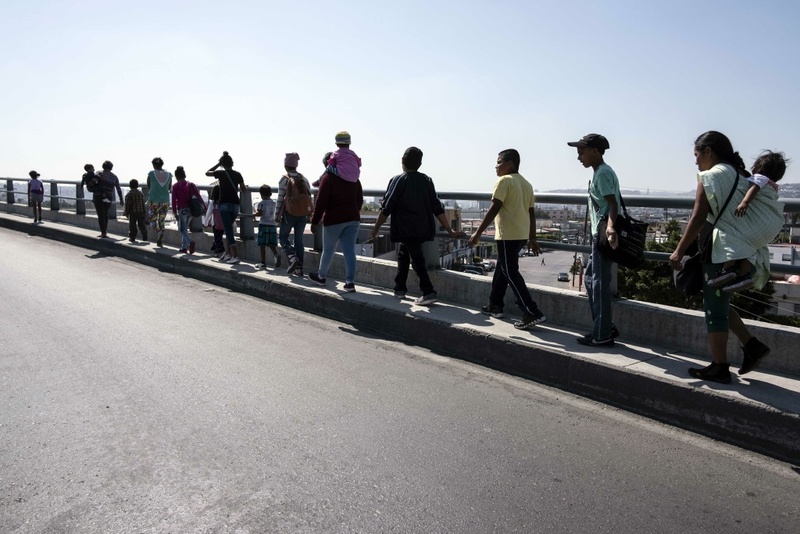 Central American migrants traveling in the "Migrant Via Crucis" walk to their legal counseling session in Tijuana, Mexico for breakfast and legal counseling on April 27, 2018. 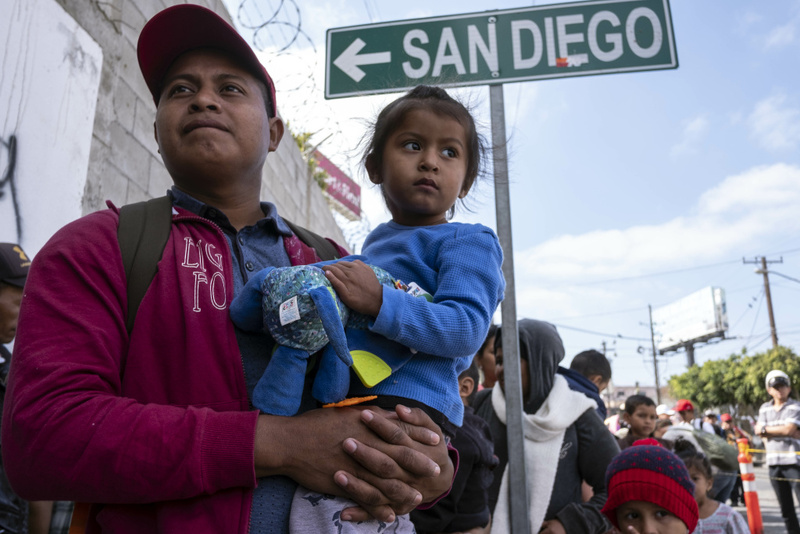 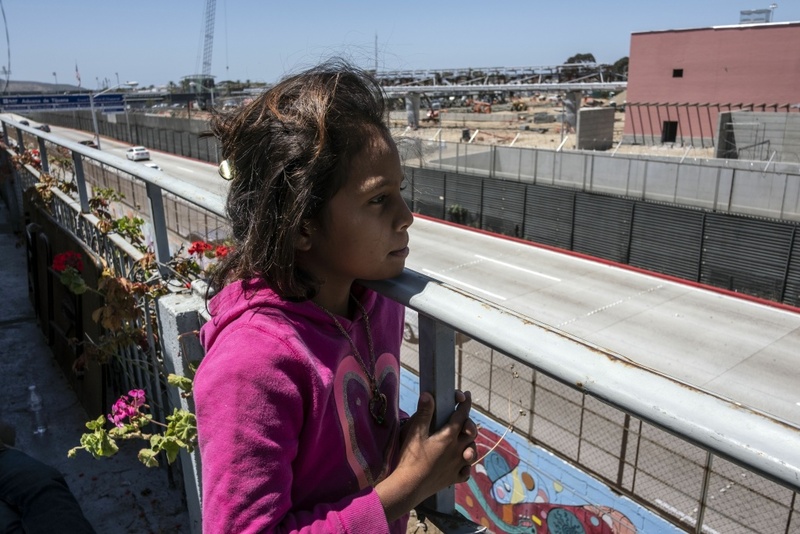 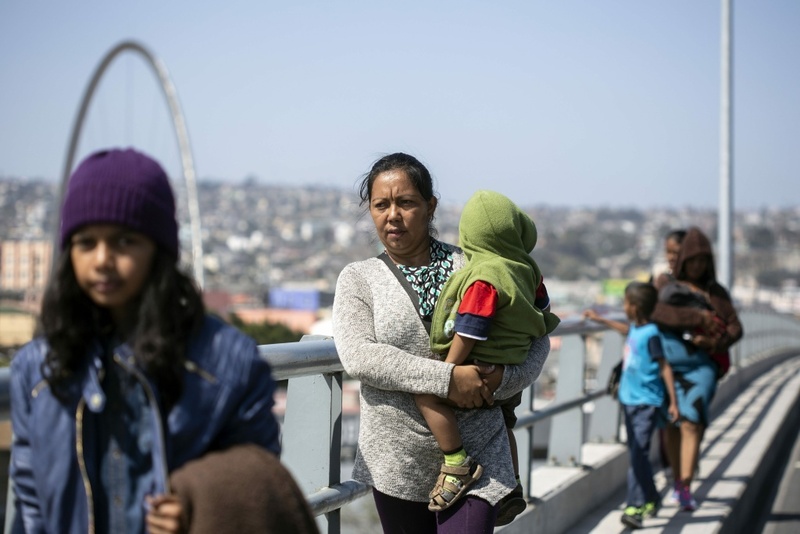 Karina from Honduras, a migrant traveling in the "Migrant Via Crucis" caravan, looks at the border between the U.S. and Mexico as other caravan members get legal counseling in Tijuana, Mexico, on April 27, 2018. 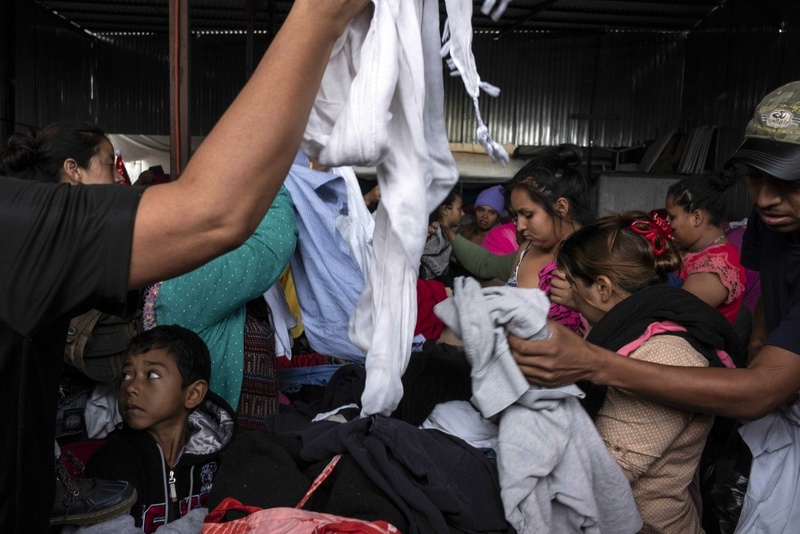 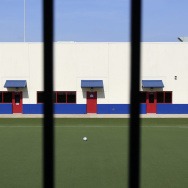 Central American migrants traveling in the "Migrant Via Crucis" pick clothes at the Juventud 2000 shelter in Tijuana, Mexico, on April 27, 2018.